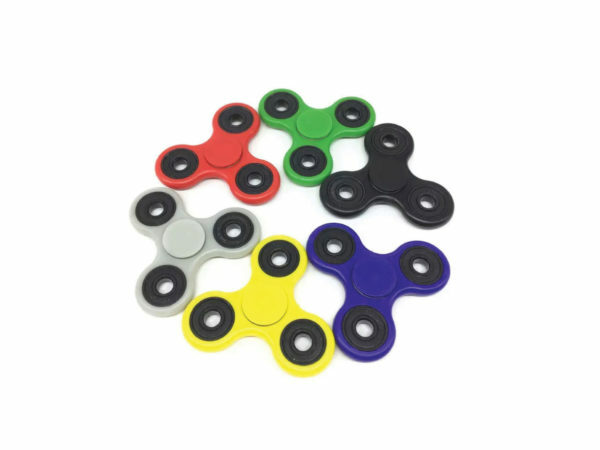 Relieve stress and improve focus with this Standard Colors Spin-O-Rama, a perfect relaxation tool for the home or office. Fun design features a three-prong plastic spinner in solid colors. Hold the spinner in one hand and use the other hand to spin it rapidly using small, continuous strikes to keep it spinning indefinitely. With practice, spinners can be spun with one hand using the fingers to stop and start spinning. Spinner spins for an average of 90 seconds and up to about 150 seconds. Not intended for children 12 years of age and under. Countertop display comes with 44 pieces in assorted colors. 44 pcs. 88 pcs. 132 pcs. 176 pcs. 264 pcs.